» SPOT on Issues » Bad Faith » Why Don’t Claims Organizations Track Claims Through The Process The Way UPS Tracks A Package? 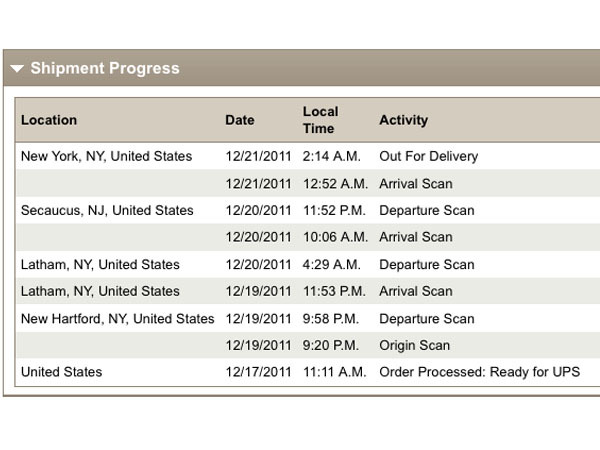 Why Don’t Claims Organizations Track Claims Through The Process The Way UPS Tracks A Package? I think we are all used to this kind of precision in the shipping industry.It certainly is in the interests of UPS to know exactly where packages are in the process. 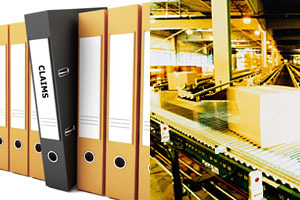 Being able to route resources and manage the logistics of a large shipping company require this level of detail. The fact is UPS now advertises that they are in the “logistics” business. At some point someone in the company came up with the idea that the consumer would also benefit from having the same information. The consumer can participate in the process and even re-route the package to a new address while their package is moving through the system. UPS understood the value to customers in managing their own shipping logistics and changed the way both shippers and receivers look at moving packages around. How many in the claims industry have this kind of detail about their claims in process? And if the claims customer could also track information and participate, how much money could be saved? If UPS can tell me that a 3 lbs. package has just been moved from one truck to another, why can’t claims departments use similar information about claims to understand and streamline their businesses? How valuable would it be to truly understand from different aspects of a claim where it is in the process? Could resources be realigned to deal with small blips in claim volume or severity increases? Would the information help underwriters understand an emerging trend that may cause a need to shift pricing? How efficient could a claims organization be if it could see increases in vendor spends in one part of the country versus another? How about if an insured could have certain access to the claim in process? Would they be able to assist in their defense more comprehensively? Could they help change the direction of the claim being able to see the path that is being undertaken? Thinking of the claim as a package in transit may be one way to explore new ways to manage files. A claim package comes into the office. It is logged into the system and assigned certain attributes. It is then sent to a staging area where its attributes (shipping information) are analyzed and then it is placed onto the correct truck (claim department/handler) for delivery. Along the way it may have to be redirected for more analysis (various shipping locations) where additional decisions about resources such as experts or further investigation can be made (transfer stations or warehouses). From there it’s final course can be set and a settlement can be reached (delivery). I can see taking all the information that is gathered along the way and have it used to understand, not just the single claim, but the entire book of claims. With this information a claims department could shift resources to be more efficient. Analysis could be done at each step to help improve efficiency and lower costs. Looking at claims through the eyes of other successful industries is a good way to attack old problems. How do you think claims could benefit if they could be tracked like a UPS package? – Claims Representative takes info, and submits to the appropriate carrier where it is assigned & adjuster makes first contact with the insured. – Our office collects adjuster information and follows up with said adjuster & our insured 3 days after claim is filed to be sure that the appropriate parties have been contacted and inspection has been scheduled. – Every week to 2 weeks (depending on the severity of the claim) our office follows up with both the adjuster & the insured to make sure all parties are on the same page and the claim is moving to resolution in a timely manner. By our office doing this, we get rid of any need for the insured to make inquiries themselves as we are giving them a “tracking status” during the entire duration of the claim. One less chore for the insured = happier clients in our eyes. Same here, most of our carriers allow us to track every step of the claim with the ability to email or phone anyone involved.